Discussion in 'Current Events' started by Florida Man, Sep 5, 2017. Now upgraded to a Category 5. Being that I, and some other caftards, live in Florida, we'll be keeping an eye on it in this thread. Fingers crossed that it doesn't cross into the Gulf of Mexico. Sounds like Rooney starting an interview. Just did a run to Walmart and got my supplies. Still unsure of whether to head North. My office is in Ashburn, Va, so getting somewhere to stay up there is no problem but I have 6 cats and a dog as well and not leaving them behind. Edit: For anyone in Florida, water is running out fast, Walmart near me cleared out already. Don't delay. Were you the one that just moved to Tampa or am I thinking of another caf member? I plan on either renting a moving truck or taking multiple trips in my SUV to bring my things up farther north into Spring Hill, which with it's distance from the ocean and 70ft above sea level height, should be safe from the storm should it hit Tampa. Been here since 2010, aside from a year in DC. That's cool, man, nice to meet another fellow Tampa resident. There is also someone on the caf who just moved to Tampa (or will move to Tampa) from the DC area. Made a thread about it and all. I was on Miami Beach for Hurricane Andrew. This looks comparably bad, although there's a chance it could miss Florida and go into the gulf and slam into one of the gulf states. A lot of damage coming to those small islands. If you got bottles, jugs, etc that you can put water in, start filling them up from the tap. Heck when the storm gets close, fill your bathtub up, if your house survives but water supplies are cut off, a tub holds a nice supply. Might not want to drink it after a few days of it sitting in the tub, but you can use it for other things or if possible boil it before use. If you have a good cooler, fill it to the brim with ice. 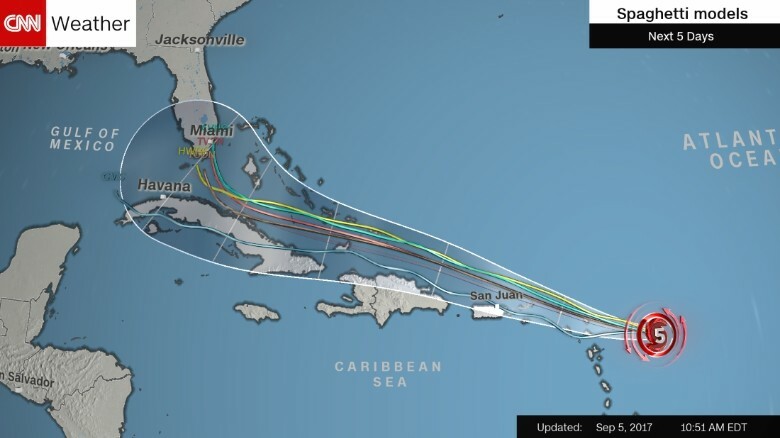 American models reckon most likely up the east coast, European models predicting west coast, only a couple of simulations have it missing and all the Greater Antilles (save Jamaica) get hit regardless. If the European model proves correct then the Greater Antilles will take the brunt and winds will weaken significantly as the storm passes over Cuba. Both models show the Leeward Islands getting an absolute pounding. Just heard parts of Puerto Rico will be without electricity for 4-6 months! if it is a direct hit. Me! Moved a week ago. The reaction of a scientist at the National Hurricane Center is worrying. Looks like this is a huge one. Got a place sorted in Atlanta. Will decide by Friday if going. 75 is my route hopefully they clear the roadworks. Taking all 6 cats and the dug. All tolls on toll roads suspended. Welcome! Am in Seminole Heights here. Barclays is predicting that Irma's insured damage could be the largest insured damage ever in the US. For reference, Hurricane Katrina had $50 billion in insured damages, and Hurricane Harvey was projected to have caused property damages of $30 billion. Doesn't/didn't the US model predict a turn to the NW up towards the Carolinas? One particular model did. It's still a bit early to see where it will pan out but I believe majority of the models have it hitting the Keys and south Florida. Miami/SE Florida could take a hit from the NE quadrant of the storm (the worst part of hurricanes) as a Cat 4. Puerto Rico and Hispaniola have the benefit of having mountains. Places like the Keys and the Bahamas, on the other hand, would be fecked. Got family out in Miami, one is flying home tonight so she will miss but my dad is holding the fort! 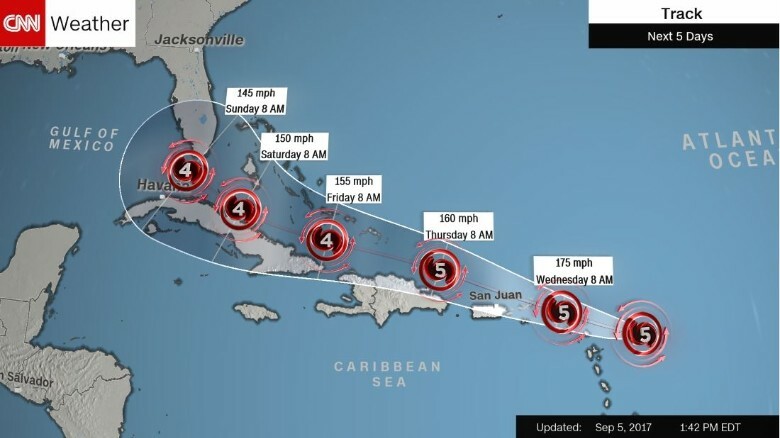 How badly does it look like Miami will be hit? Interesting idea from George Monbiot on twitter earlier that we should start naming hurricanes after the most notorious/influential climate change deniers and fossil fuel companies. Saw something on Reddit about the first meteorologist to name Hurricanes/Cyclones. Government rejected his proposal, so he started naming them after the politicians he hated. Can't research at the moment...think it was in Australia. We'll know more on the modeling projections soon, but it's not looking good for the low-lying areas. Standing in front of a window isn't very smart. Yeah hopefully that guy ended up alright. Is that not slightly skewed by so much of Houston not being insured for flood damage? We got caught up in one whilst vacationing in Florida a decade back, was only a smaller one but i still remember the chaos in wallmart and being seemingly one of the last cars on the road with warnings on the radio a police car had been flipped by a tornando. Can't imagine the worry when its your own house! Have friends/family in Orlando and Melbourne. Orlando is inland so I'm not too worried, but Melbourne is coastal.